Anne Miller began her advertising career at Tulane University, where she earned a bachelor’s degree in psychology and sociology. In the 18 years since, she’s worked throughout the industry, managing the marketing for dozens of clients. She remains engaged with her clients, leveraging her years of experience to supply them with top-level marketing guidance. At DEVENEY, Anne serves as the Advertising supervisor, overseeing her division’s marketing efforts. She regularly works with clients like Saint Xavier University, Mississippi Power and the New Orleans Jazz and Heritage Festival, helping them connect with their large audiences. 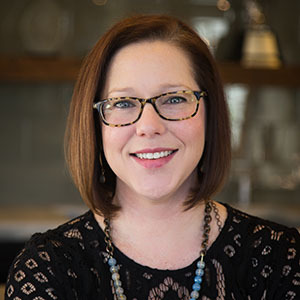 Specializing in DEVENEY’s LifeCare and LifeStyle practice areas, Anne most enjoys working with clients in the food and beverage, health care, hospitality and tourism industries. At the end of the day, you’ll probably find Anne letting her hair down and putting her feet up while sipping a nice glass of La Croix and listening to “This Must Be the Place” by Talking Heads.